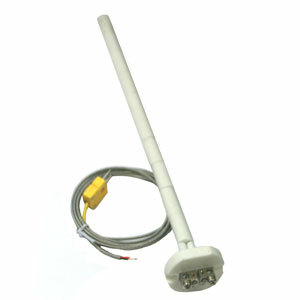 To do logging on your new Mastech MS6514 you have to use a USB 2 high speed port only. You will also need Silicone labs CP210x USB to UART Bridge driver. Download that here. 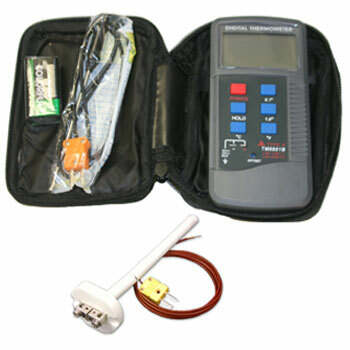 The MS6514 Dual-Input Handheld Pyrometer Package comes with (2) Low temp thermocouples (Max Temp: 752 F), and (1) Heavy Duty thermocouple (Max Temp: 2500 F). 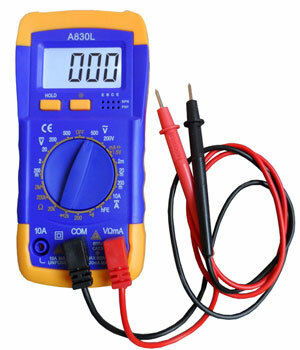 This model includes a large LCD display, built in ambient temperature compensation, auto power off and USB interface with included software. The software allows you to export to Microsoft Excel as well as printing. This unit features a built in pop out stand for easy viewing. 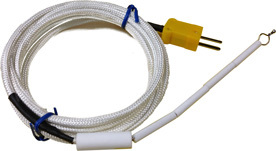 Since it is “Dual Input”, you can purchase an additional thermocouple and monitor two kilns at once, or the same kiln in two locations simultaneously. It will even display the difference between the two temperatures, and record the minimum and maximum temperatures during a firing. 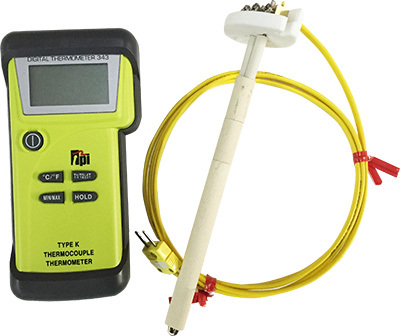 The Skutt Dual-Input Handheld Pyrometer comes with an 8" 8 gauge Type K thermocouple and thermocouple mounting block, 5 feet of thermocouple wire, and a pyrometer flange for mounting the thermocouple to the kiln. 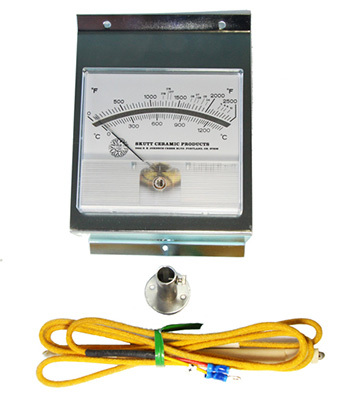 The pyrometer is protected by a soft plastic shell/case that integrates a flip-out back, so that it can be set on a table or shelf. 2 year warranty. Requires 9V battery (included). 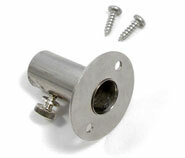 The Skutt Dual-Input Handheld Pyrometer comes with (1) Heavy Duty thermocouple (Max Temp: 2350 F). The pyrometer is protected by a soft plastic shell/case that integrates a flip-out back, so that it can be set on a table or shelf. 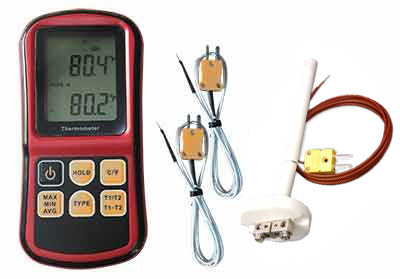 The GM1312 Dual-Input Handheld Pyrometer Package comes with (2) Low temp thermocouples (Max Temp: 752 F), and (1) Heavy Duty thermocouple (Max Temp: 2500 F). 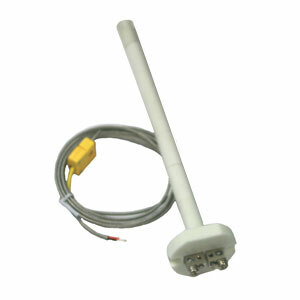 The GM1312 model lets you simultaneously monitor 2 thermocouples at the same time Since it is “Dual Input”, you can purchase an additional thermocouple and monitor two kilns at once, or the same kiln in two locations simultaneously. It will even display the difference between the two temperatures, and record the minimum and maximum temperatures during a firing. 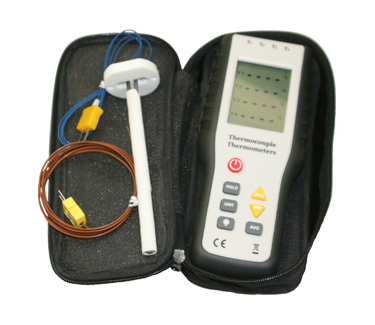 The 6802II Dual-Input Handheld Pyrometer Package comes with (2) Low temp thermocouples (Max Temp: 752 F), and (1) Heavy Duty thermocouple (Max Temp: 2500 F). 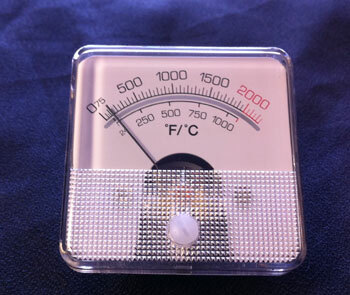 The TM6801B digital pyrometer will display Fahrenheit and Celsius. The 3 1/2 digit liquid crystal display is easy to read even in bright daylight. 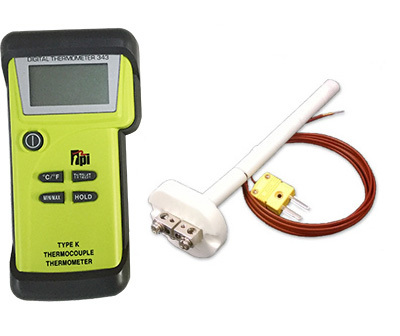 This reliable hand-held pyrometer measures in degrees F up to 1999F Max temperature. 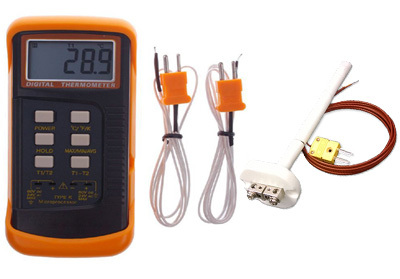 The HT-9815 Quad-Input Handheld Pyrometer Package comes with (4) Low temp thermocouples (Max Temp: 752 F), and (1) Heavy Duty thermocouple (Max Temp: 2500 F). 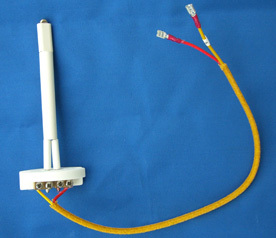 Since it is “Quad Input”, you can purchase additional thermocouples and monitor four kilns at once, or 4 sections of one kiln. Enjoy digital accuracy on a modest budget. 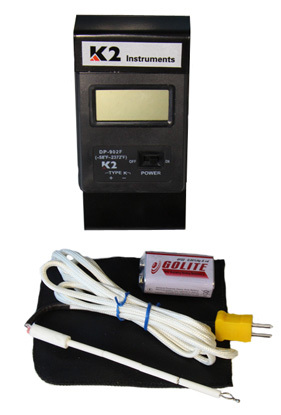 The DT2-7 digital pyrometer measures kiln temperature for improved firing results. With the DT2-7 you can fire copper enameling, control the cooling rate of difficult glazes, or know when to begin monitoring glass in a switch-operated kiln. The liquid crystal display is easy to read even in bright daylight. 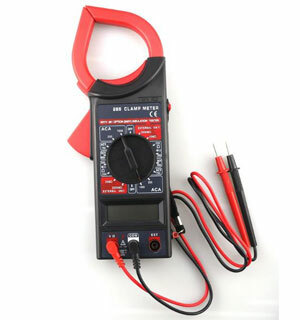 This reliable hand-held pyrometer weighs only 5 ounces and measures in degrees F up to 2372F Max temperature. 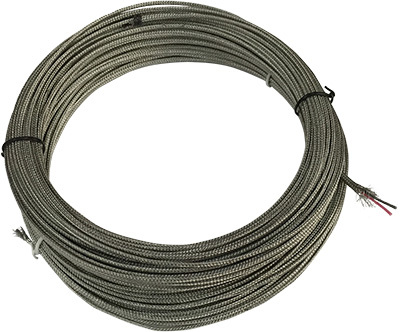 Replace the Type-K thermocouple in seconds with a simple plug-in connection. 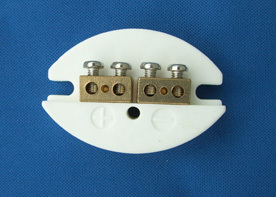 The on-off switch saves battery life. 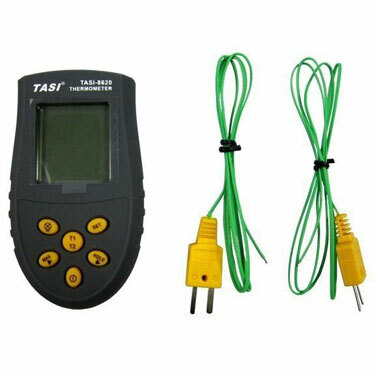 The plastic display case is rated for a room temperature of 32 122 degrees F.
The TASI-8620 Dual-Input Portable Digital Pyrometer comes with (2) Low Temperature Thermocouples. It has 3 display modes with a dual data display and a °C/°F selection. 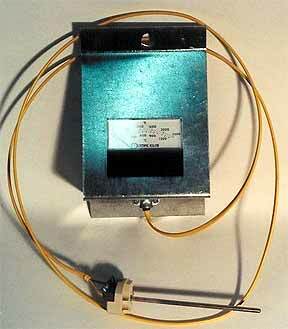 20°C - 1350°C (use for Cone 10 Firing) 32°F - 1999°F - Can be used at 32°F but not as accurate. 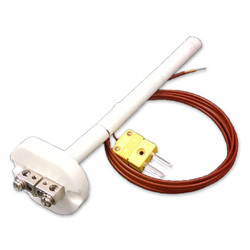 Add a TCK-1 Hi-Temp Thermocouple for a heavy duty option. The ACI 1030-4-8 is perfectly priced for potter's on any budget. 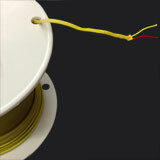 It features a 8" thermocouple, analog pyrometer and 4 feet of heavy duty insulated wire. 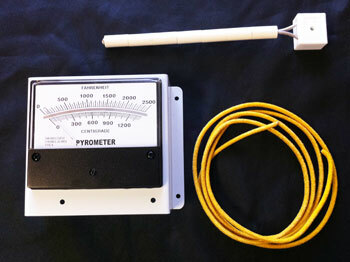 The small ACI 2000 2" x 2" Analog Pyrometer is a low cost, yet highly accurate analog pyrometer. 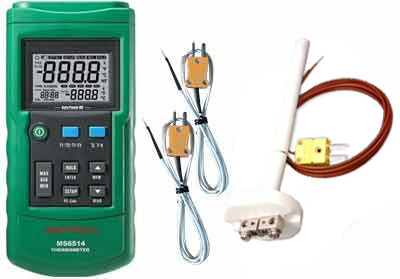 Thermocouple is not included. 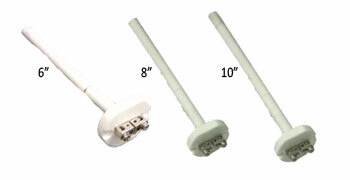 4-ft lead wire, thermocouple, and wall-mounting bracket. Digital and Analog Pyrometers check the progress of a firing & know when you are approaching final temperature. 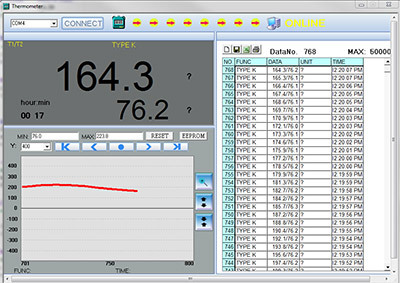 Monitor the rate of temperature change during firing.